These thermostatically controlled electric propagation bench heating panels speed up propagation by providing warm uniform bench temperature, resulting in excellent seed germination and a high rooting rate for cuttings. 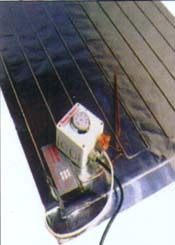 The heating element is laminated between aluminum sheets for even temperature spread throughout the panel. Temperature range is 42oF to 100oF (6oC to 38oC) approx. 150 Watt/M2 (15W/sq ft). Installation is simple. 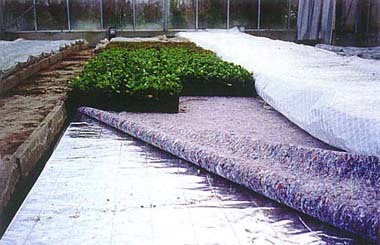 First lay approximately 2” thick polystyrene panels on your bench, then unroll the HEATWAVE PANEL on top. Cover with polyethelene sheet, and a capillary mat if desired. Plug in and you are ready to place your plants. To store, carefully roll up the panel. Although we offer standard sizes, made-to-measure panels are available.